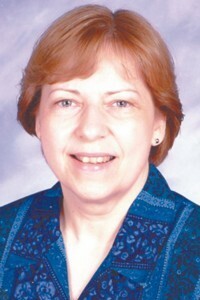 A public school administrator and counselor for 34 years, Shannon Bennett Campbell served as President of the West Virginia Counselor Association, West Virginia liason to the American School Personnel Association, and received an International Scholarship from the Delta Kappa Gamma Society Internationale for study of values and character education at the Union-Presbyterian School of Christian Education in Richmond, Virginia. Additional Post-graduate work was done at Wesley Theological Seminary in Washington, D. C.
Developing an early interest in her native Appalachian state, West Virginia, Campbell won a Golden Horseshoe for outstanding knowledge of West Virginia in 8th grade, was selected by those attending Rhododendron Girls State to represent them as a Senator to Girls Nation, and headed a college committee that created Mountaineer Week at West Virginia University, an annual event. She was a member of 4-H for nine years. She is currently a correspondent for The Inter-Mountain newspaper in Elkins, West Virginia where she writes a monthly column about state tourism and inspirational issues. She performs in churches with her puppet “Anderson” as the Gospel Storyteller, and is past district president of the General Federation of Women’s Clubs and now serves as State Leadership Chairman. She and her husband, Rick, reside in Randolph County.